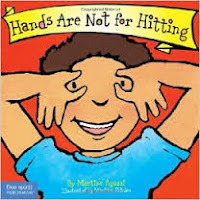 Summary: “Hands Are Not For Hitting,” by Martine Agassi is a short story that helps children from ages 0-3 to understand that using their hands to hit or hurt others, is inappropriate. This short story has colorful illustrations of what children can do with their hands other than hitting. The story begins with first reassuring that hands come in all shapes, sizes and colors. Then the book proceeds to inform the students that their cans can do a great deal of things. The book is also interactive because it asks the students, “can you wake yours?” The end of the story also gives advice to parents and caregivers. The book gives suggestions for redirecting frustrated energy, quick tips for reducing anger, and even how to handle a situation where a toddler hit someone. This book is perfect for preschoolers. Element 5: This book is a great example of how to introduce the 6 Elements of Social Justice to children even in preschool. 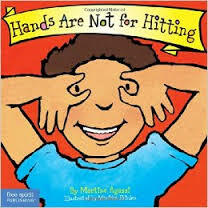 Element 5 focuses on “Raising Awareness.” This text explains to children that everyone has hands, no matter how different their hands look from one another, and that they can be used for so many different things, but absolutely not for hitting. The story raises awareness on the issue of physical abuse towards others and even bullying. Instead of just having teachers tell their students that hitting is not acceptable, it is also showing the students the things that they can use their hands for instead of hitting. It shows students from such a young age that it is not okay to hit, or be hit and these are lessons that they will take with them for the rest of their lives. Activity: To incorporate it into my classroom, I would use this book as a read aloud and have children interact the motions stated in the story. I would make sure to show the students all of the colorful pictures to help keep them engaged and interested. After the story I would ask the students what is something that they use their hands for? As a follow up activity, I would have students play with play dough or clay and have them see that their hands can be used in many different ways, and not for hitting. Since this book is for very young children it is important to keep them interested in the topic and support the words we are telling them. We can have a fun classroom activity with the clay and show them that our hands are great tools that we can use and that they should be used for good only.